The Windows XP operating system (OS) was the most popular OS released by Microsoft. The Windows XP operating system, codenamed "Whistler," was widely used as it offered security, stability, and efficiency. Though Microsoft stopped extended support for this personal computer operating system on April 8, 2014, it is still being used in many organizations, ATM machines, small businesses and personal computers. Many organizations such as the National Health Service UK and many police forces still use Windows XP. As of April 2017, it was estimated that around 140 million PCs still ran on Windows XP. 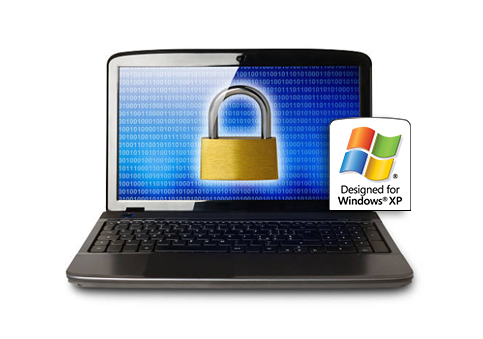 Microsoft stopped issuing security updates for Windows XP in April 2014. From then on, Windows XP users have relied on antivirus solutions to protect their computers. Considering its popularity, there were hundreds of paid antivirus and free antivirus solutions released for Windows XP. However, with the lack of proper operating system updates and ineffective antivirus solutions, many computer networks running Windows XP suffered major attacks from various malware, including the WannaCry ransomware in May 2017. This ransomware encrypted data and demanded ransom payments in Bitcoins for decryption of data. The justification provided for organizations to still use Windows XP was that legacy applications and devices did not support later versions of the Windows operating systems. Upgradation to supported hardware and software applications was expensive and beyond the budget. Still, organizations that had implemented effective cyber security systems were able to escape the clutches of the WannaCry ransomware. What is the difference between a free antivirus solution and an effective free antivirus for Windows XP? An antivirus solution must have certain typical features, and an effective free antivirus will have certain features that are not available in traditional free antivirus solutions, which will protect the computer from zero-day malware. The Comodo Free Antivirus Windows XP features a proactive antivirus engine that automatically detects and eliminates malware such as viruses, worms, and Trojans. It utilizes cloud-based scanning for rapid and efficient response to malware threats. The Free AV offers powerful on-demand, on-access, and scheduled scan capabilities. Traditional AV solutions provide protection only against known malware. They block only known malware and allow all other files through. Only Comodo Free Antivirus features a default-deny platform that provides protection against all new viruses - it allows only known safe applications and files to make changes in the system. All unknown files are automatically run in a Comodo container, where malware believes that it is making changes to the system, but due to sophisticated virtualization of COM interfaces, Disk, Registry, and Memory, it is able to make changes only to the virtual system. Based on the behavior of the file/application, a verdict is obtained and the file/application is allowed if it is good, or blocked if it is malicious. Comodo Free Antivirus Windows XP is a part of Comodo Internet Security that provides total security for Windows XP computers.